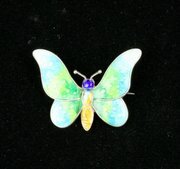 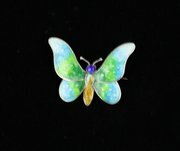 A great Art Deco silver and enamel butterfly brooch or pin, vibrantly enamelled with blue green wings and a yellow and dark blue thorax. 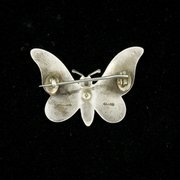 Stamped Sterling Silver to the reverse it is offered in good condition, commensurate with age, measures 35mm by 26mm and weighs 4.6 grams. 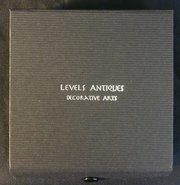 It will be sent special delivery within the UK and posted in a custom Levels Antiques box.